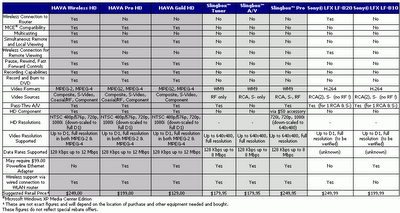 * This table was published by snappymultimedia, and so may contain subjective information. 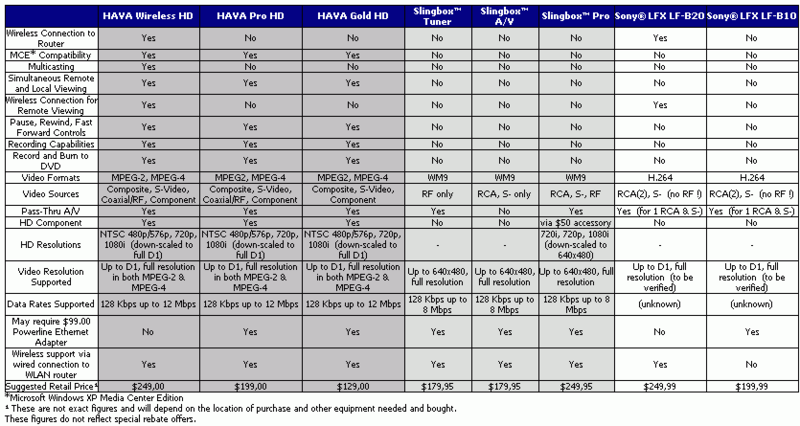 Note: According to user reviews it appears that (at least with current firmwares) Slingbox is better suited for remote connections while Hava for local connections. On remote connections Hava seems to drop frames while on the LAN has exceptional quality, much greater than Slingbox.